This annual fundraising Gala supports HealthCorps’ initiatives to promote healthy living among kids and in schools. Ridgefield, New Jersey. 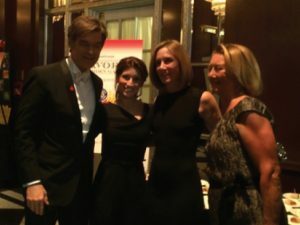 December 12, 2013 – Toufayan Bakeries, one of the largest family-run bakeries in the U.S., today announced they are partnering with HealthCorps, a 501(C) 3 founded in 2003 by heart surgeon and Daytime Emmy Award-winning host Dr. Mehmet Oz and his wife Lisa to teach kids about the benefits of proper nutrition, exercise and mental resiliency. Toufayan and other better for you lunch options will be featured in multiple HealthCorps in-school and community activities. HealthCorps embeds recent college graduates in high-need high schools across the country to educate students in health and wellness. 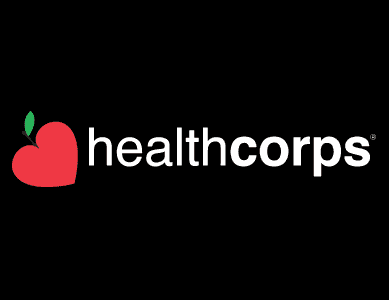 HealthCorps will feature Toufayan at several of its programs, including its Teen Battle Chef competitions, its annual Gala and organization’s two flagship “Highway to Health” health festivals in New York and Sacramento. 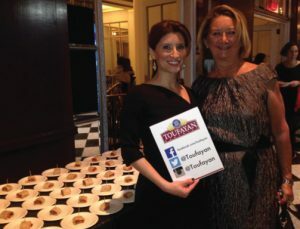 Toufayan is the maker of over 100 varieties of baked goods including pita, wraps, bagels and flatbreads. A family business that prides itself on meeting the needs of other families across the country, Toufayan offers many whole grain, gluten free, and “smart” options that moms, dads and kids can all enjoy. Toufayan products can be found in the deli and bread aisles at supermarkets nationwide. Hello Dottie and thank you for your interest in our Smart Bagels™. In Florida, some stores such as Albertsons, Piggly Wiggly, Publix, and Winn Dixie carry our Smart Bagels™. It is up to each store manager to decide what products and varieties they stock. Use our store finder for more details and areas.